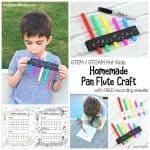 Kids always love making homemade instruments! 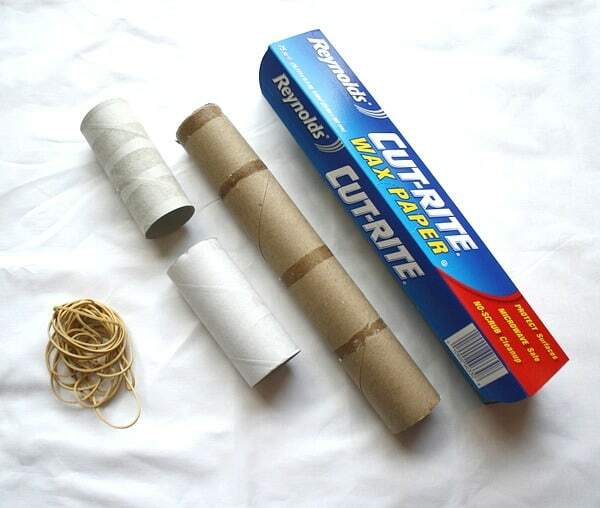 Here’s how to make a kazoo using an empty paper towel roll or toilet paper roll, any cardboard tube. 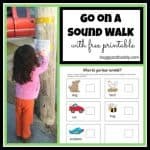 It’s a fun craft for kid and a great science activity for exploring sound. 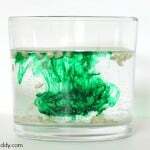 *This science activity correlates with Next Generation Science Standard (NGSS) 1-PS4-1. 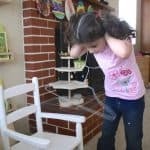 Exploring the sense of sound is always a hit with my two kids. Previously we’ve explored sound using a wire clothes hanger and gone on a sound walk. 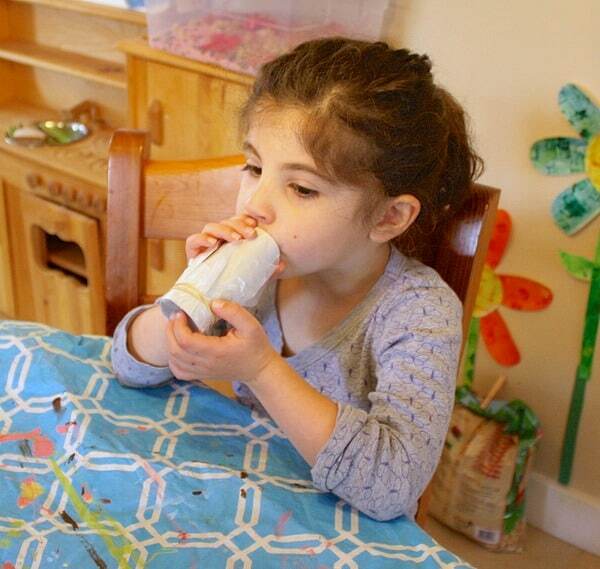 Today we’ll be exploring the sense of sound with our own homemade kazoo from a cardboard tube, a really fun STEM / STEAM activity for kids of all ages. 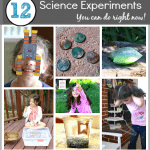 Be sure to check out these other science activities! 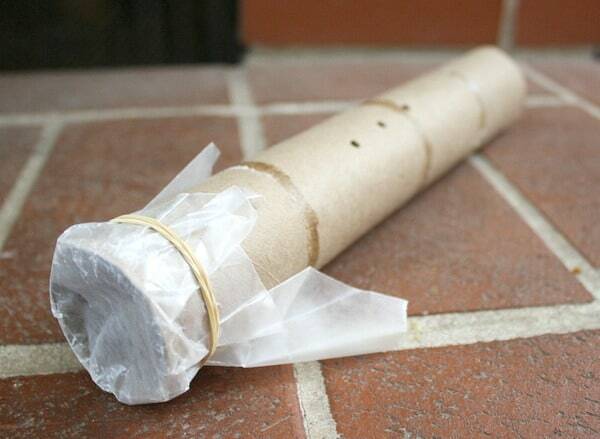 Cover the end of your cardboard tube with wax paper. Secure it with a rubberband. 4. Optional: Paint your kazoo! What do you hear? How are the sounds being made? Do the sounds change when you hum different tunes? Explanation: The wax paper vibrates from the sound of your voice, amplifying it. Try varying the length of the kazoo using different sized tubes. Do they sound the same of different? Poke more holes in the sides of your kazoo. Does covering the holes change the sounds you make? 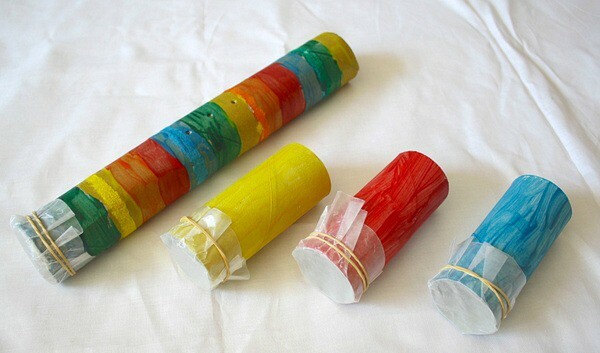 Try changing the material you cover your tube with (saran wrap or parchment paper for instance.) Do any other materials work better? Why or why not? Thank you for pinning, Alice! Wow! What a great project! I gleefully anticipate that this activity will last quite a long time with the girls I nanny! Thank you so much for sharing! What a fun idea! 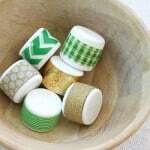 We’re always looking for more ideas to use those paper towel rolls that I’ve been keeping. My son would love this! Thank you, Gina! Lucy and Theo have both enjoyed playing with them. Oh, yeah! Out of 51 blog entries to check out this one screamed “Kazoo” at me. When I find something I remember having fun with over 50 years ago, I know it’s a WINNER. Great concept, great execution and presentation. Love this blog!!! Thanks, Susan! You made my day! 🙂 I remember doing this when I was younger too. It even took me awhile to get the kazoo to make noise just like when I was a child! Felt just like a kid doing it with Lucy! My girls would love these!! 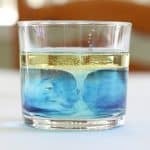 Can’t wait to try making some! Thanks so much for linking up and sharing with us! This would be great with an anatomy unit on the ear and the senses. I’m sticking this in my anatomy pinterest board. Awesome idea! Looks so fun! Thanks, Ana! We loved it! I love Lucy’s comment, so literal. This looks like so much fun. My son who loves music would love this. Thanks for the post. Hopping in from TGIF. Thanks for coming by, Renee! I hope you get a chance to make this with your son~ so much fun! Pinning this to use with our playschool children! Thanks for sharing with us. Hope to see you again tomorrow at Eco-Kids Tuesday!! What a clever idea! I’ve got to try this one out with my oldest… she would love it! It’s lots of fun! Hope you get the chance to do it! I think I know what I’m doing tomorrow! Thanks for sharing. Love your colourful kazoos! I remember making these many years ago but i love how bright and colourful yours are!Featuring on my Kids Co-Op post this week…thanks for sharing! 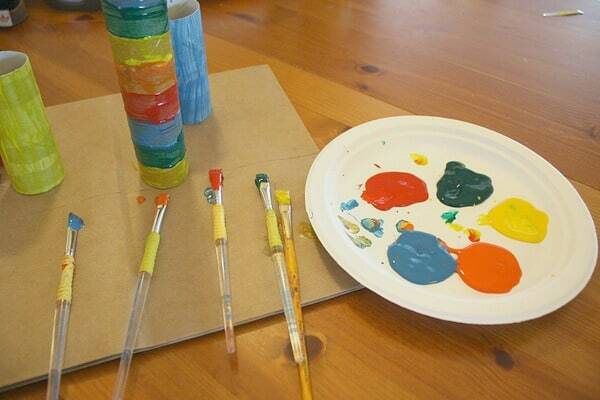 Colourful idea! I’ve featured you on Mom’s Library (www.cyrstalstinytreasures.com). This is a great project. I pinned it so we can make kazoos in the future. Thanks so much, Pauline! Can’t believe it’s almost Earth Day. The weeks and months seem to be flying by! My name is Ailsa and I am a journalist for Sierra Magazine, Sierra Club. We are currently working on a blog about DIY instruments and we would like permission to feature your DIY Kazoo. Your website will receive full credit, of course. Love your kazoo and science of sound that came with it! Thanks for sharing with Afterschool! 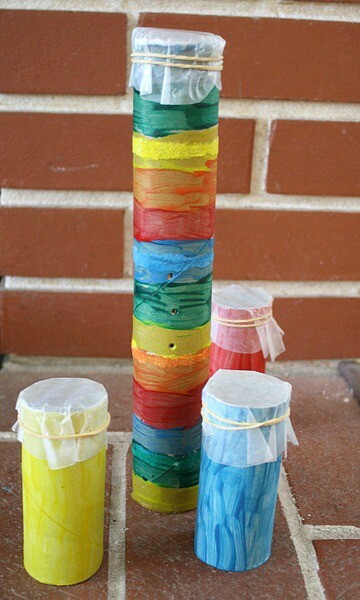 These are so simple and fun — featured today on my After School Round Up. I can only imagine all the music going on! Featured you on Mom’s Library! Thanks so much for this kazoo tutorial! We made them today with our baby book club, to go along with the “monkeys hum” page in Hand, Hand, Fingers Thumb. These were perfect!